« Is Your “Vehicle” in balance? As each election year approaches, I am fascinated to witness the changes in personality of so many people. Some people seem kind and thoughtful and even generous until someone with different political views joins the discussion. Some people with differing political views go out of their way to make fun of or put down the other side. Half of the country has hateful names for Republicans and half of the country has hateful names for Democrats. And often, those same people, when not talking politics, say they want peace, hamony and all good things. 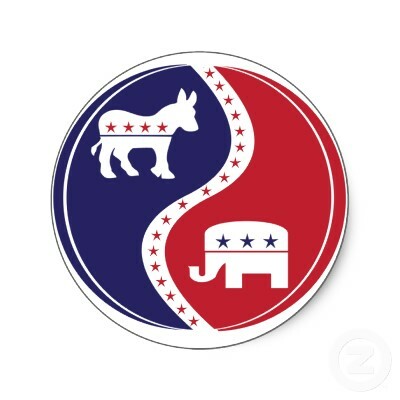 But if you truly want peace and harmony, how do you get there by bashing another for their political preferences? How is it okay to demean, dehumanize and demoralize another human being in one breath and then talk about how peace and harmony should reign in another. There is no commonality between the two. We can’t get to “good” when we keep focusing on the negative the politicians do and forget that WE – the people – are the ones who can make the difference. Not by pointing fingers but by coming together with a positive focus and then, we the people, make it happen. We have become a nation that tolerates it’s ignorance, indifference, insensitivity and it’s inertia! We spend our time pointing fingers at who is responsible for what. We have lost our focus and what is best for us as a nation. We’ve let the politicians decide our best interests as fed by the many lobbyists who wine and dine them. We have the opportunity to join forces as the people of our nation have in the past. We can turn off the reality shows, and the celebrity news, and turn on our passion for what’s right for our great nation. We can join together and focus our energy to improve our food supply; improve the health of our people; and restore our faith in our country. But we will never get there wasting our time, energy and efforts, bashing the other political party, pointing fingers and placing blame. I believe, we can best move forward by stepping past the political differences and looking beyond how we got here. And bring our nation together to create a better future for ourselves, our children and our grandchildren.